Welcome to another adventure within the multiverse! 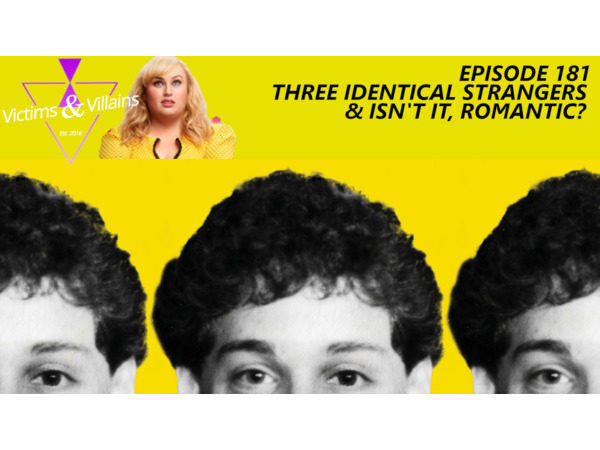 For this adventure, we are diving deep into the 2018 documentary, Three Identical Strangers. This documentary tells the story of Eddy Galland, David Kellman & Robert Shafran - three triplets separated at birth only to reunited after 19 years. Their story is one wrapped up in mystery and tragedy. We're taken a look deep within this film with our friends over Secret Spice of Life and Michael Linn, a counselor local to us. To hear more on this episode, click here (https://bit.ly/2DJqjV9). This episode also contains a bonus review of Isn't It, Romantic?